Lithium Projects – New Age Metals Inc.
Three of the projects are considered drill ready. Lithium One, Lithium Two and Lithman West. Active exploration of the claim holdings is ongoing. New Age Metals has signed an exploration agreement with the Sagkeeng First Nation and will be work in partnership with them on their traditional ground. The Winnipeg River-Cat Lake Pegmatite Field is host to numerous pegmatite deposits and contains the world-class Tanco Pegmatite. It is a part of the Bird River Greenstone Belt. The field contains at least 10 pegmatite groups and hosts hundreds of pegmatite bodies. Many are lithium bearing. The world-class Tanco pegmatite is a highly fractionated lithium-cesium-tantalum (LCT)–type pegmatite that has historically been mined (Tanco Mine) since 1969 for Li, Ta, Cs, Rb and Be ores. Currently, the Tanco mine produces pollucite for the manufacture of cesium formate. The mine was owned by the Cabot Corporation who recently announced (Jan 2019) that it will be selling the mine and Speciality Fluids Division to Sinomine Rare Metals Co. Ltd. At a purchase price of $130 million ($US). This sale should advance the Lithium production potential of the area as Lithium Ore feed would be required. Several companies are exploring for Lithium in the region. New Age is the largest claim holder. Figure 1: New Age Metals Lithium division project map. Click to enlarge. The Project consists of 2294 hectares located 12 kilometers south of the Tanco Pegmatite. Lithium One is 100% owned by New Age Metals and contains over 40 pegmatites or more with the southern portion of the project containing numerous underexplored pegmatites. Exploration is ongoing with concentration of the northern section, with focus on the Annie and Silverleaf Pegmatites. Silverleaf Pegmatite has zones of spodumene and lepidolite exposed on surface with samples up to 4.1% Li2O. Annie Pegmatite returned values up to 0.6% Li2O and 0.37% Ta2O5. Both pegmatites are drill ready with a 1500 metre planned drill program. The project is geologically situated in the southern extension of the Bird River Greenstone Belt. The pegmatites are associated with the Greer Lake and Shatford Lake Pegmatite Group of the Cat Lake – Winnipeg River Pegmatite Field. The Winnipeg River Pegmatite Field hosts the World-Class Tanco Pegmatite which has been mined since 1969 at the Tanco Mine Site, in various capacities and for various commodities. This pegmatite field is hosted in the Archean age Bird River Greenstone Belt and into the surrounding granites. All the pegmatites are of Archean age and are hosted in mafic volcanic to sediments and the surrounding pegmatitic granite. Many are complex and zoned with numerous phases of tantalum-niobium minerals, lithium-bearing minerals and REE-bearing minerals. 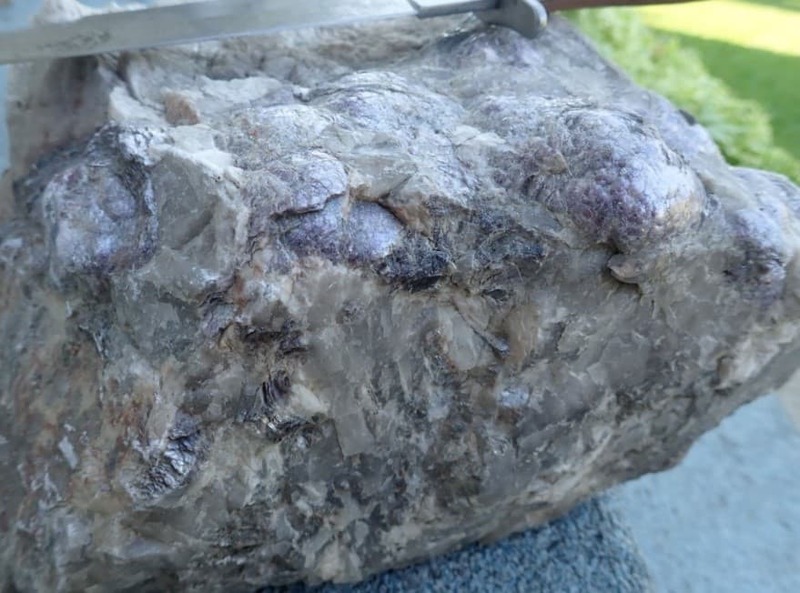 The Silverleaf Pegmatite is one of the most historically worked pegmatites and approximately 500 tonnes of rock removed in the 1920’s for test milling for lithium, germanium, rubidium and gallium. 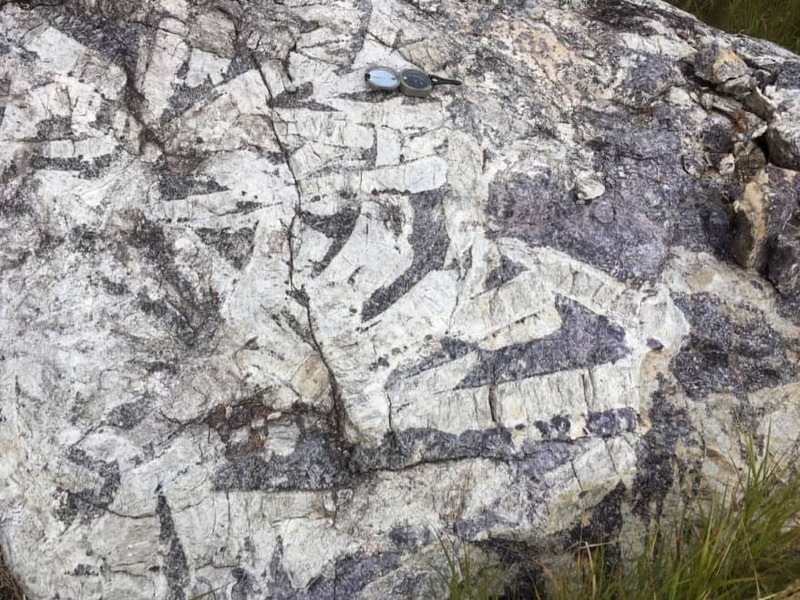 It is a zoned complex lithium-bearing pegmatite, with a surface exposure of approximately 80 metres x 45 metres and has been traced for over 168 meters with a maximum thickness of 31 metres. It was the largest Pegmatite reviewed during the 2016 field season. Samples taken from the Lepidolite-Spodumene Zone yielded assays from 1.30% to 2.43% Li2O, 0.15% to 2.08% Rb2O and 104 ppm to 447 ppm Ta2O5. This zone is approximately 50 metres x 20 metres in size and extends into a historic excavated open pit. A sample from the historically mined Spodumene rock pile returned values up to 4.33% Li2O. 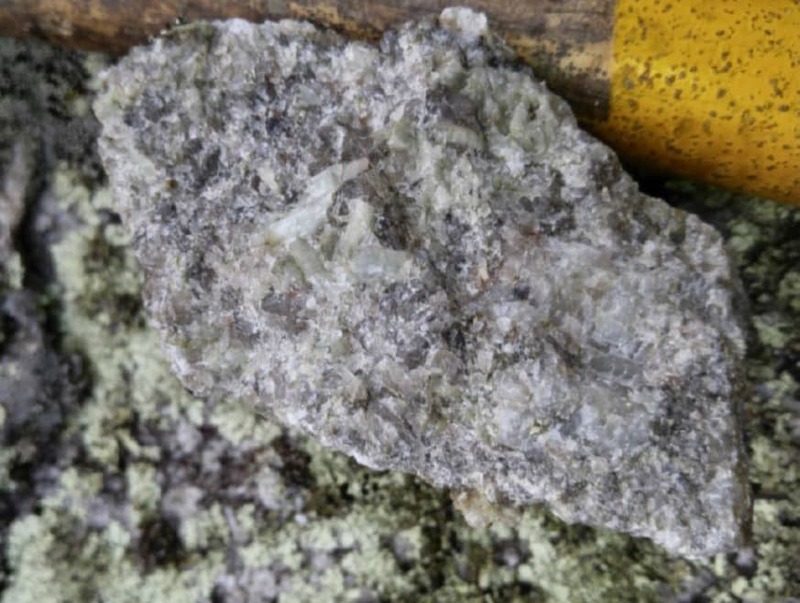 The Company’s Phase One Exploration Program, sampled several of the other known lithium-bearing pegmatites including the Greer Lake Pegmatitic Granite. The purpose of the exploration program was to obtain modern-day assay analyses of the Pegmatites and to ground proof some of the historic pegmatite locations. Numerous Pegmatites and Pegmatite swarms were not sampled, due to access difficulties and will be prospected during the next exploration program. The Annie Pegmatite is exposed on surface, for an approximate area of 15 metres x 90 metres. Samples returned assays of 0.10% to 0.64% Li2O and 0.21% to 0.81% Rb2O. Other Pegmatites returned elevated levels of Lithium. Due to the zoned nature of some of the pegmatites, additional lithium-rich zones may exist, but are not exposed on surface. Figure 2: Pegmatites reviewed in 2016. Figure 3: Pegmatite map of the Lithium One Project. The Project consists of 145 hectares located 20 kilometers north of the Tanco Pegmatite. Lithium Two is 100% owned by New Age Metals and contains 3 pegmatites known to date. The Eagle Pegmatites is exposed on surface and was last drilled in 1948. At that time it was indicated that it remains open to depth and along strike. A historic tonnage of 544,460 tonnes of 1.4% Li2O (source: Manitoba Mineral Index Cards) was reported in 1948. This amount has not been confirmed by a qualified person at this time. Surface sampling has yielded assays up to 3.8% Li2O. The other pegmatites on the project have not been drill tested. The project is drill ready with a 1500-metre planned drill program. The project is geologically situated in the Cat Lake portion of the Cat Lake – Winnipeg River Pegmatite Field. The Winnipeg River Pegmatite Field hosts the World-Class Tanco Pegmatite which has been mined since 1969 at the Tanco Mine Site, in various capacities and for various commodities. This pegmatite field is hosted in the Archean age Bird River Greenstone Belt and into the surrounding granites. LCT Pegmatites are mined around the world for their lithium, tantalum, rubidium and beryllium. The pegmatite is exposed at surface as a series of lenticular spodumene-bearing dykes, over a distance of about 823 metres with widths up to 30 meters. The Eagle Pegmatite has a general strike of 077° and a near vertical dip. The F.D. No. 5 Pegmatite is surface exposed over an area of 27 and 15 metres and is poorly exposed away from the main showing. The unit strikes at 80° with a near vertical dip to the north. The FD No. 5 Pegmatite appears to have not been previously drill tested. There are several other lithium bearing pegmatites in close proximity to the Lithium Two Project. Surface sampling over the two pegmatites during the 2016 field season yielded assays for the Eagle Pegmatite up to 2.44% Li2O and assays up to 3.04% Li2O for the FD No. 5 Pegmatite. Surface sampling over the two pegmatites during the 2016 field season yielded assays for the Eagle Pegmatite up to 2.44% Li2O and assays up to 3.04% Li2O for the FD No. 5 Pegmatite. The lithium content over both sampled pegmatites is extremely positive. As well, tantalum, cesium and rubidium contents are enriched as would be expected from a LCT Type Pegmatite. LCT Type Pegmatites are the deposit types sought for in Lithium Exploration. The Tanco Pegmatite is an LCT Type Pegmatite. This project is situated on strike and to the west of the Tanco Pegmatite deposit. Project consists of 3385 hectares located 12.5 kilometers west of the Tanco Pegmatite. Project is 100% owned by New Age Metals and was previously explored by the Tantalum Mining Corp of Canada in their exploration for Tantalum. Numerous rock and soil anomalies for pegmatites were identified with very little follow up drilling. Samples were on a 25 m by 100 m grid. The Lithman West Extension Project was staked to cover more prospective ground for Lithium Pegmatites to the west. Lithman West Project is drill ready. All projects were staked to cover numerous surface pegmatites and pegmatitic granites. The projects cover portions of the Bernic Lake Pegmatite Group (hosts the Tanco Pegmatite as well as a few other Lithium Rich Pegmatites) Rush Lake Pegmatite Group, Birse Lake Pegmatite Group and the Axial Pegmatite Group. Presently these claims are being explored with surface mapping, sampling and prospecting, with projects planned for 2018 and 2019. Newest project staked. Surface exploration planned for the summer of 2019. Situated north and adjacent to the Lithium Two Project which contains known surface Lithium-bearing Pegmatites.